Whether you have a long-standing relationship with a much-beloved family physician or you just want to be able to research your doctor before seeking medical care, the medical provider you use is a highly personal decision. It’s no wonder, then, that so many employees have questions about choosing a doctor following an on-the-job injury. Unfortunately, though, Colorado law significantly limits your ability to choose your own medical provider for a workers’ compensation claim. Colorado law allows your employer to pick a physician for you to use, either before your injury or at the time it occurs. Not all companies do this, though. If your employer doesn’t select a doctor for you, you have the right to choose your own doctor so long as that doctor is qualified to diagnose you. You couldn’t, for example, go to a gynecologist for a broken leg. After your insurance claim is filed, the insurance company can select a second doctor to diagnose and examine you. You’ll need to go to this visit even if you’re already receiving medical care. If you don’t show up, the insurance company could deny your claim. When there’s a true emergency, you can’t always control everything, and you certainly might not think much about going to the “right” doctor. If your first visit was to an emergency room or required an ambulance trip, this is out of your control, and worker’s compensation still pays the bill. 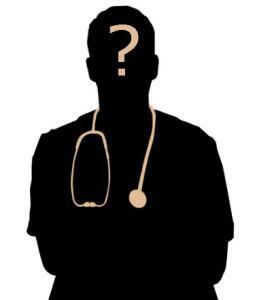 Can I Choose My Own Doctor if I Disagree With My Appointed Physician? There’s no denying that some doctors are just better than others, and some employees worry that the doctor selected by their employer provides inadequate care. If you feel you’re not getting good care from the doctor selected by your employer, state law allows you to request a second opinion. The formal term for the doctor who renders the second opinion is a Division Independent Medical Evaluator (DIME). You can’t just pick any doctor to be your DIME, though. You, your employer, and your insurance company must negotiate together to arrive at a mutually agreeable doctor. This is one instance where it is helpful for you to have the assistance of an attorney. Many workers’ compensation disputes arise when an employee questions the quality of care they are receiving from their employer-selected doctor. No matter what doctor you see, it’s vital to discuss each symptom you’re experiencing. Otherwise your doctor may miss an important diagnosis or even state that you’re not injured at all. If you have any questions regarding an injury you sustained while on the job, or with an existing workers’ compensation claim, please contact the experienced workers’ compensation attorneys at McDivitt Law Firm. Your first consultation is absolutely free, and you won’t owe us any fee until we get compensation for your injuries.